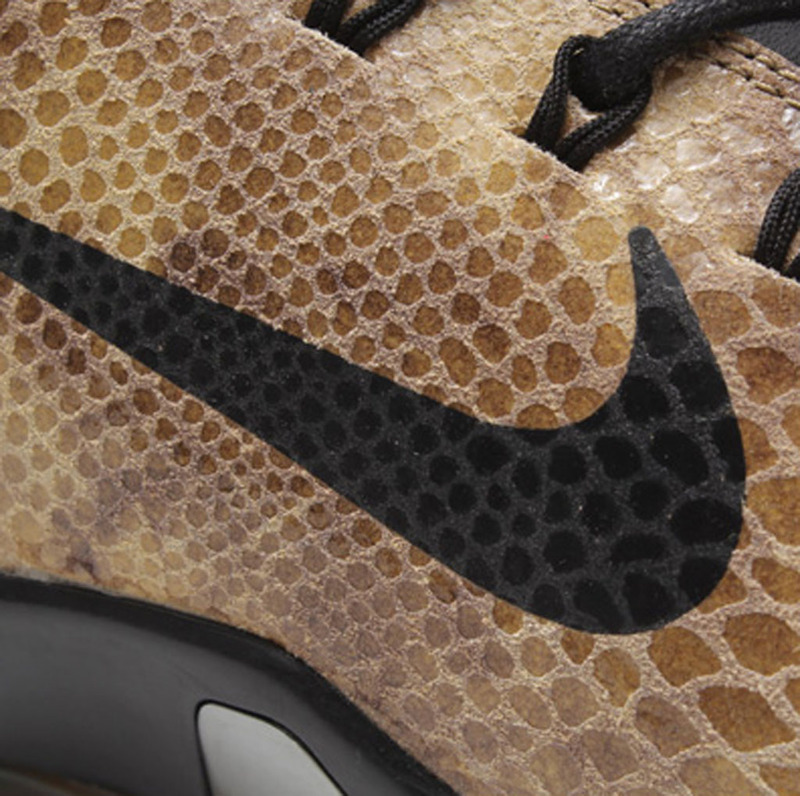 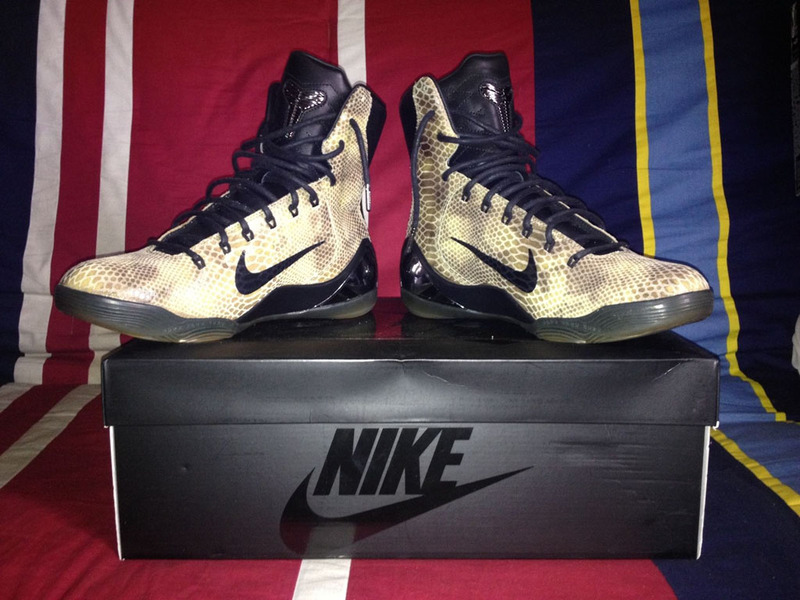 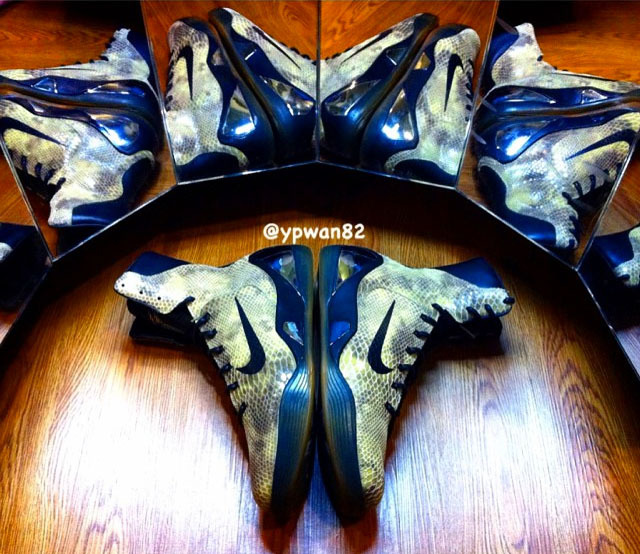 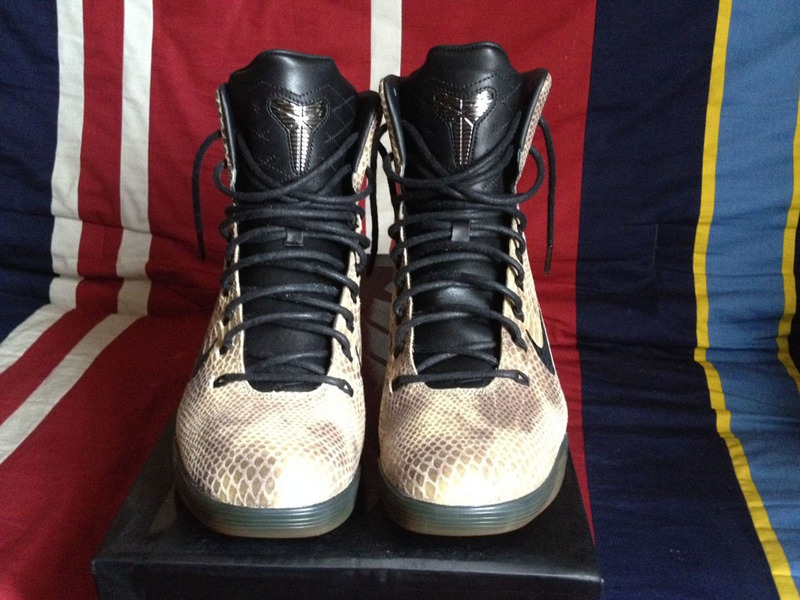 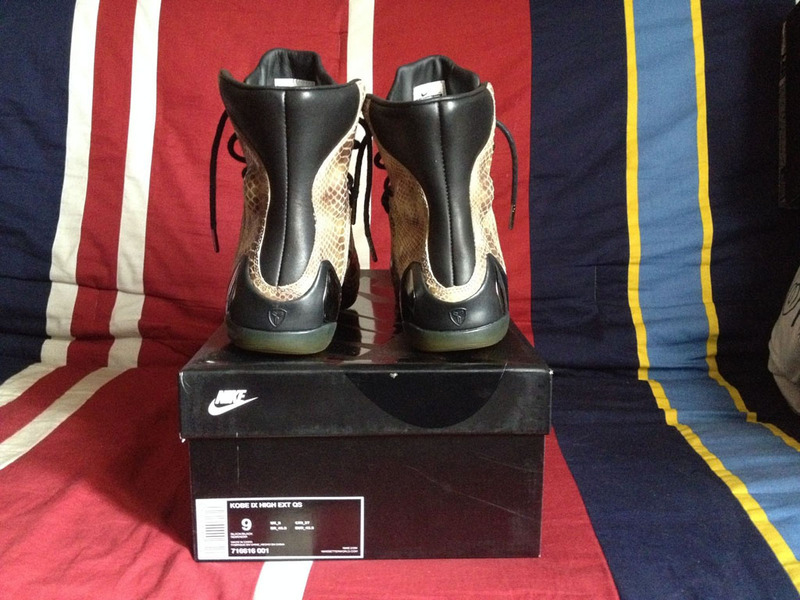 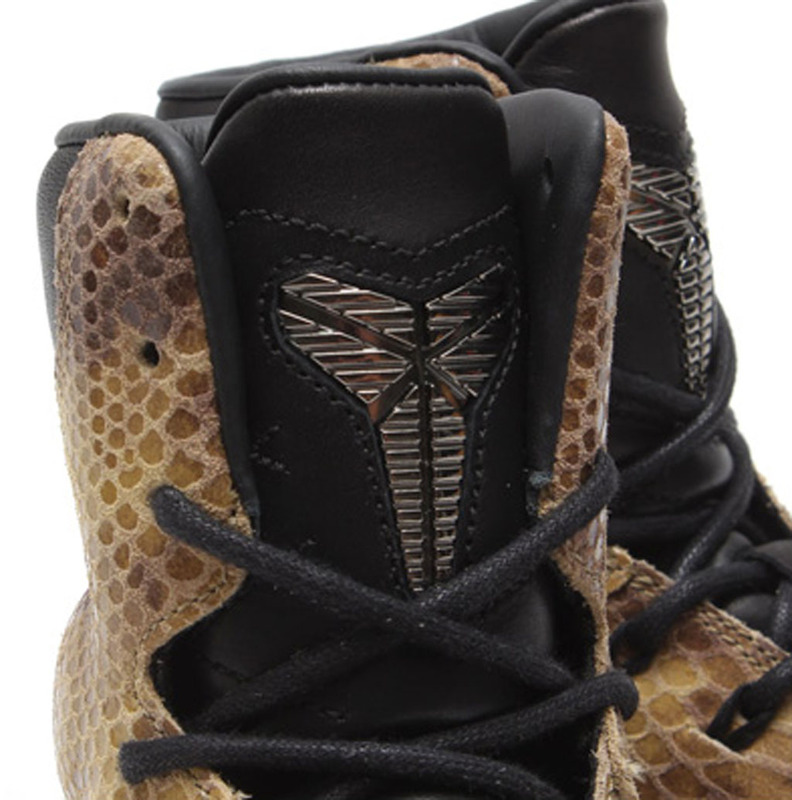 While Vanessa Bryant's pair was in GS sizing, the men's version features more of glossy snakeskin upper. 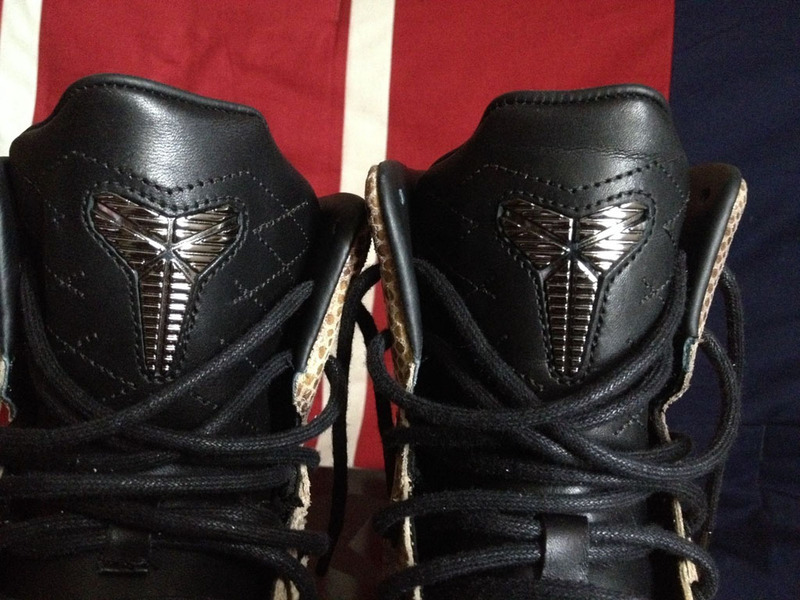 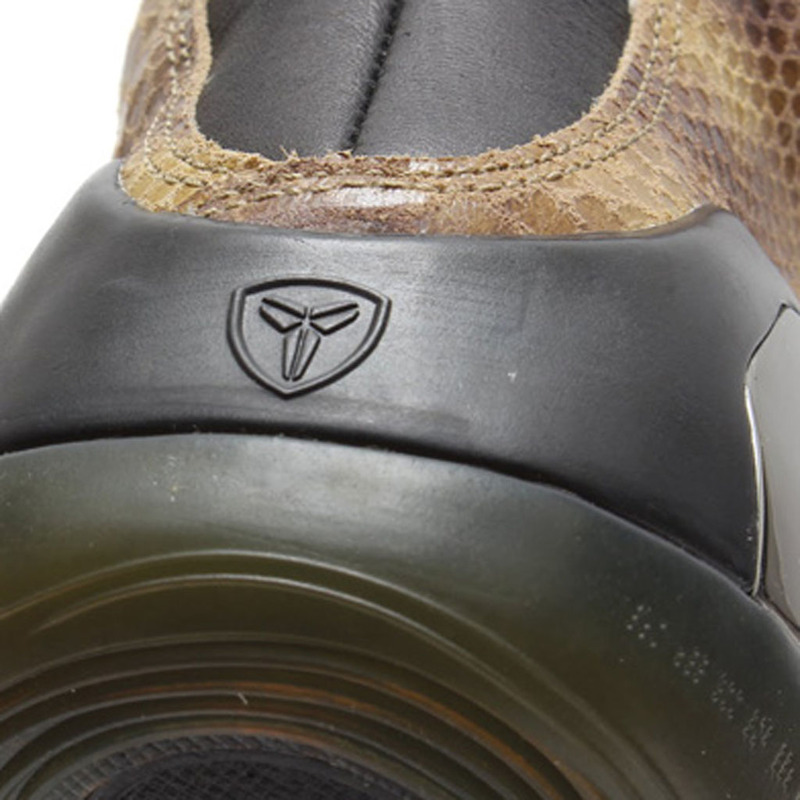 Remember the Nike Kobe 9 EXT Vanessa Bryant debuted on-foot last week? 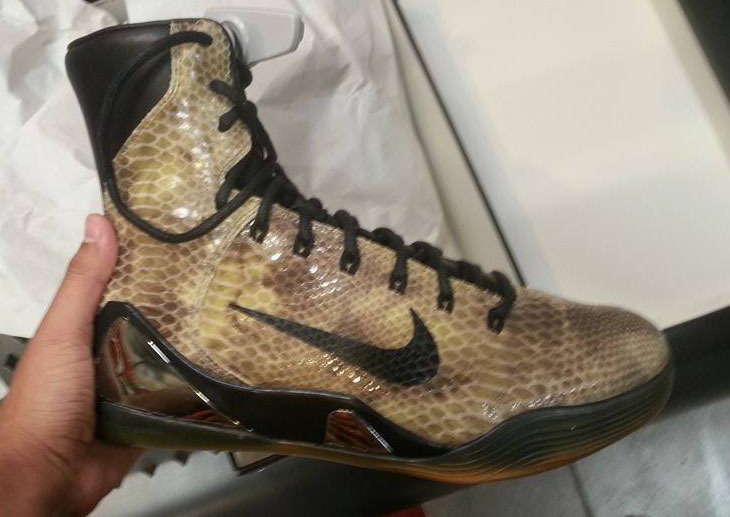 It looks like that pair is on its way to retail, as new photos have surfaced. 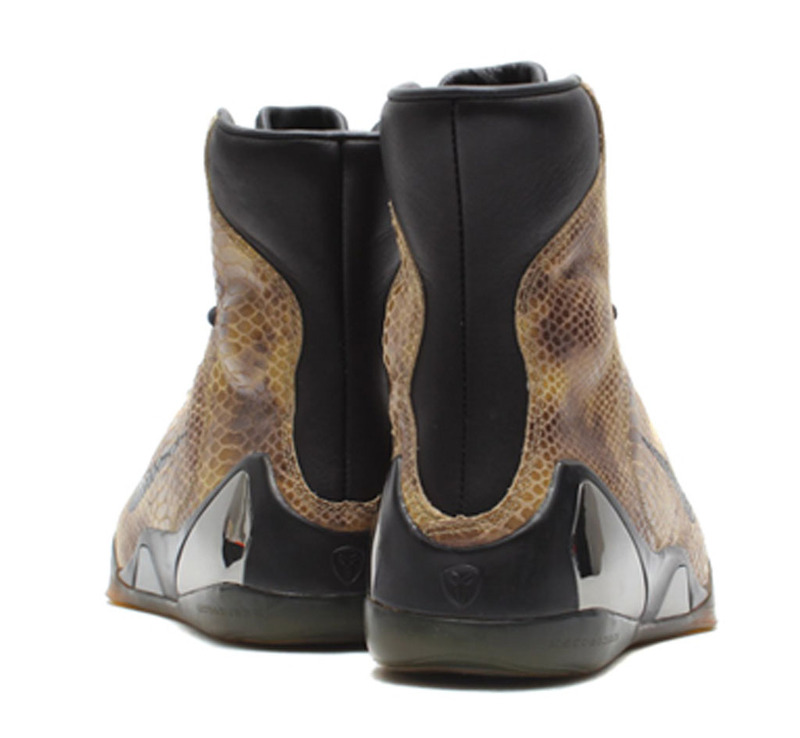 While Vanessa's pair was in GS sizing, the men's version features more of glossy snakeskin upper, with the same chrome insets and translucent sole. 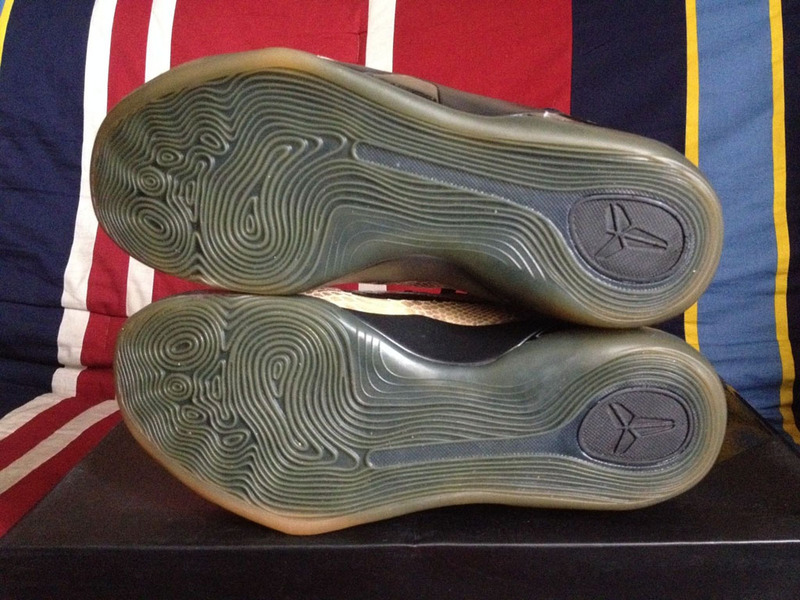 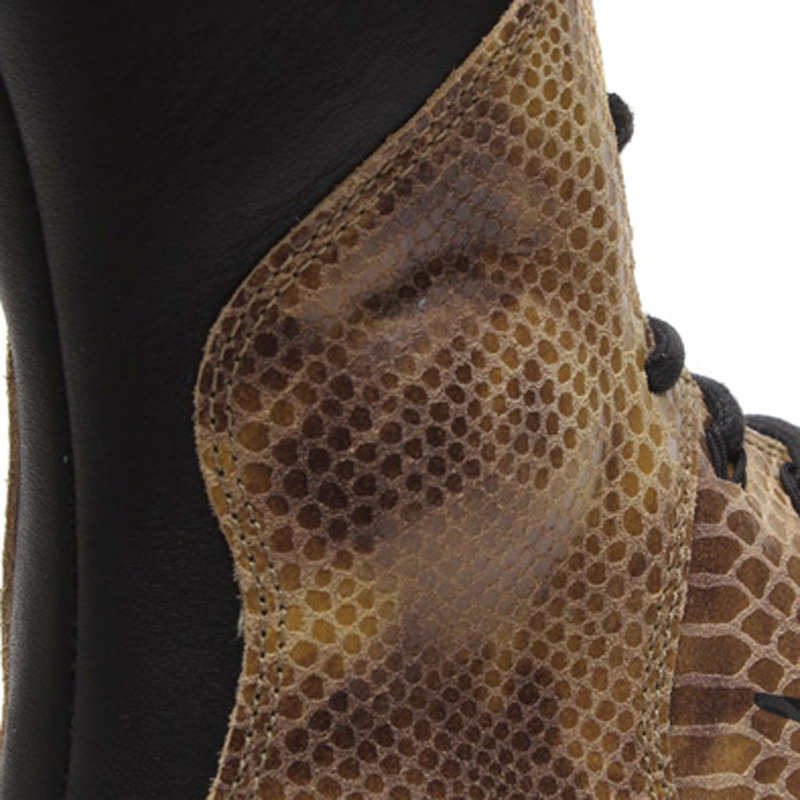 As of now, we don't have a release date, but we'll continue to keep you posted here at Sole Collector. 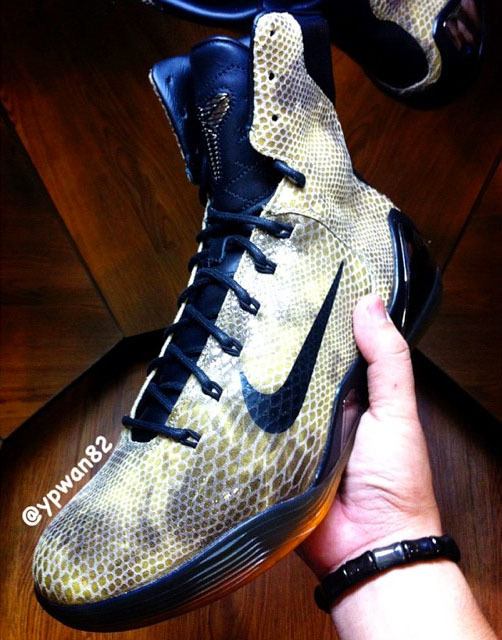 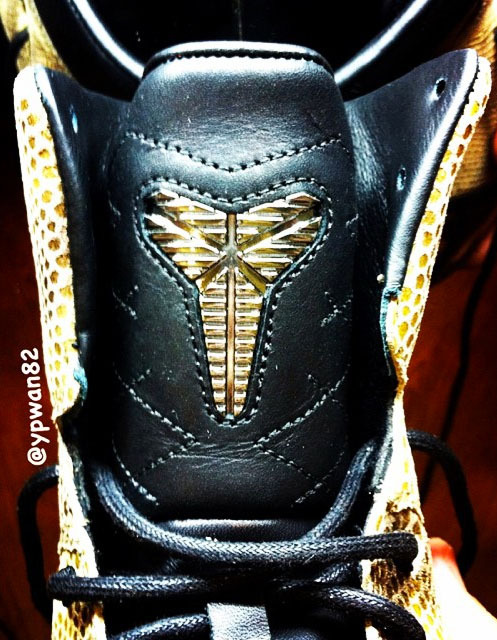 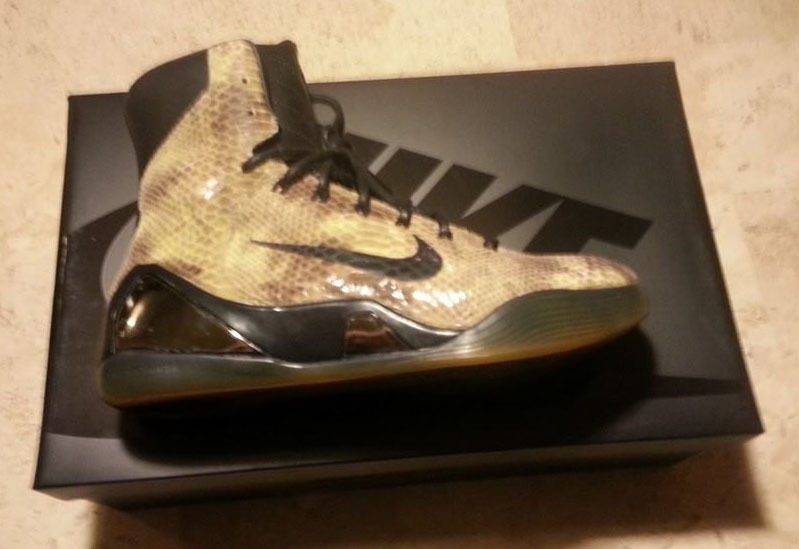 In the meantime, let us know what you think about this new version of the Kobe 9. 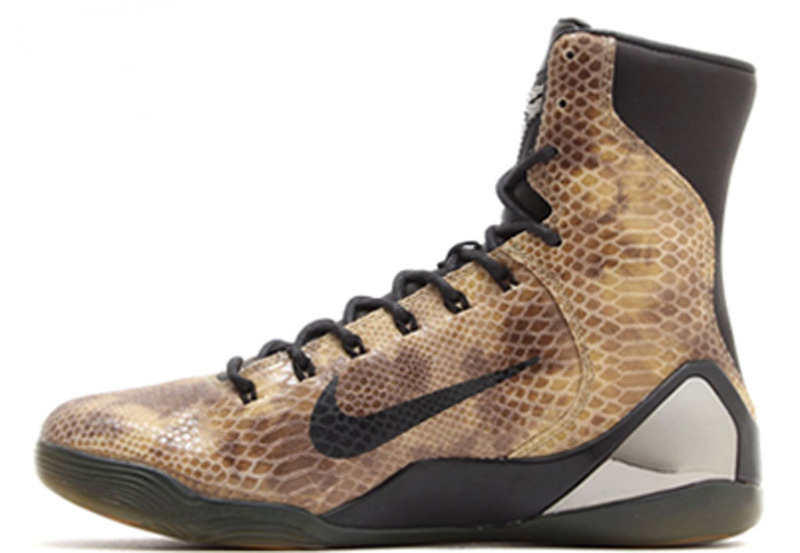 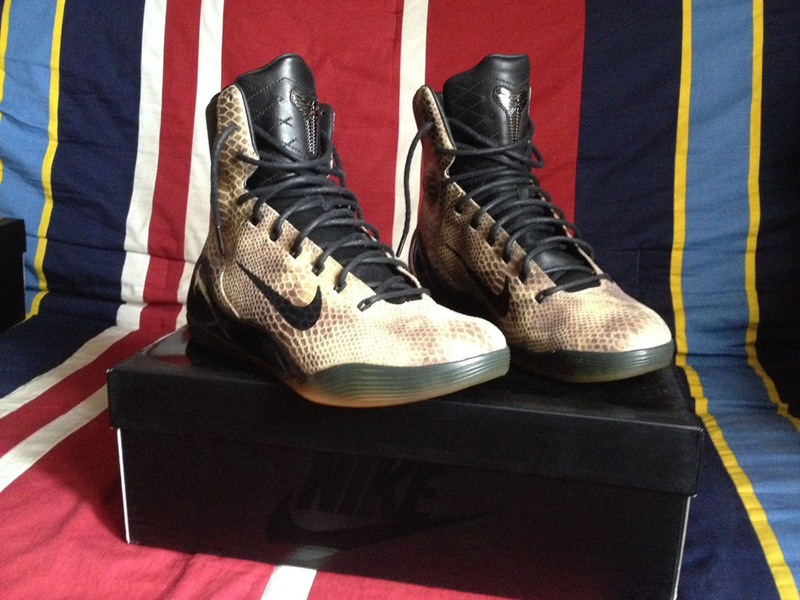 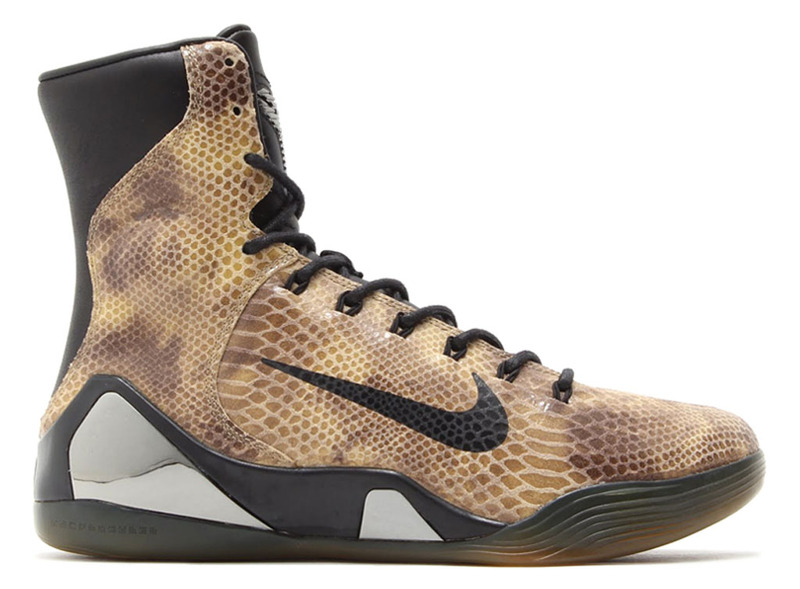 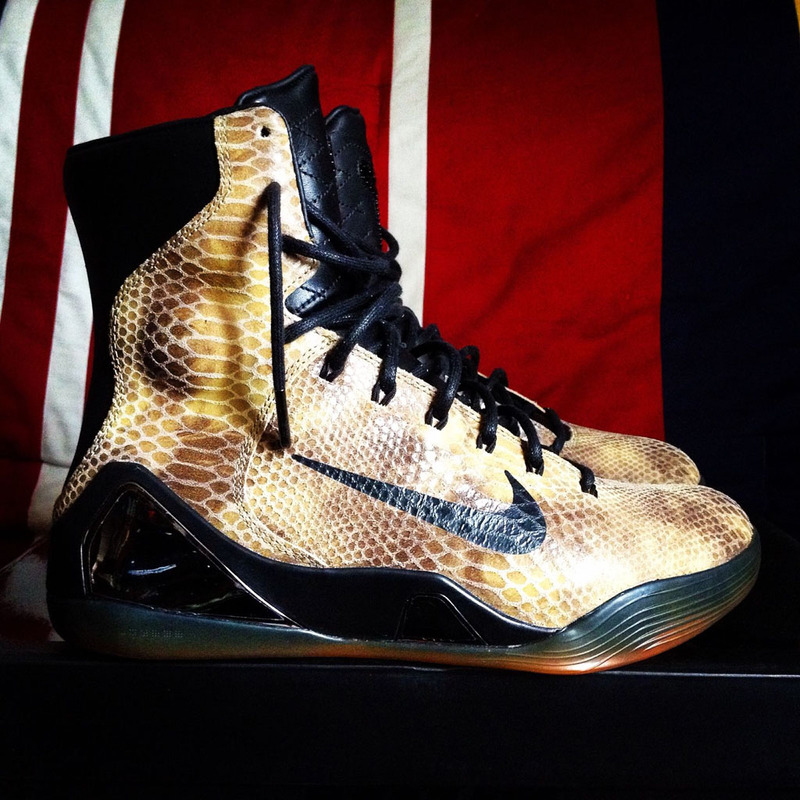 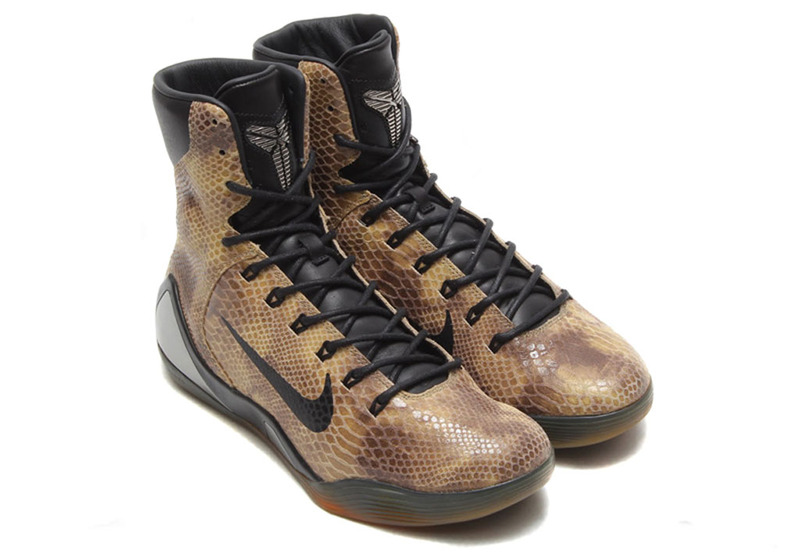 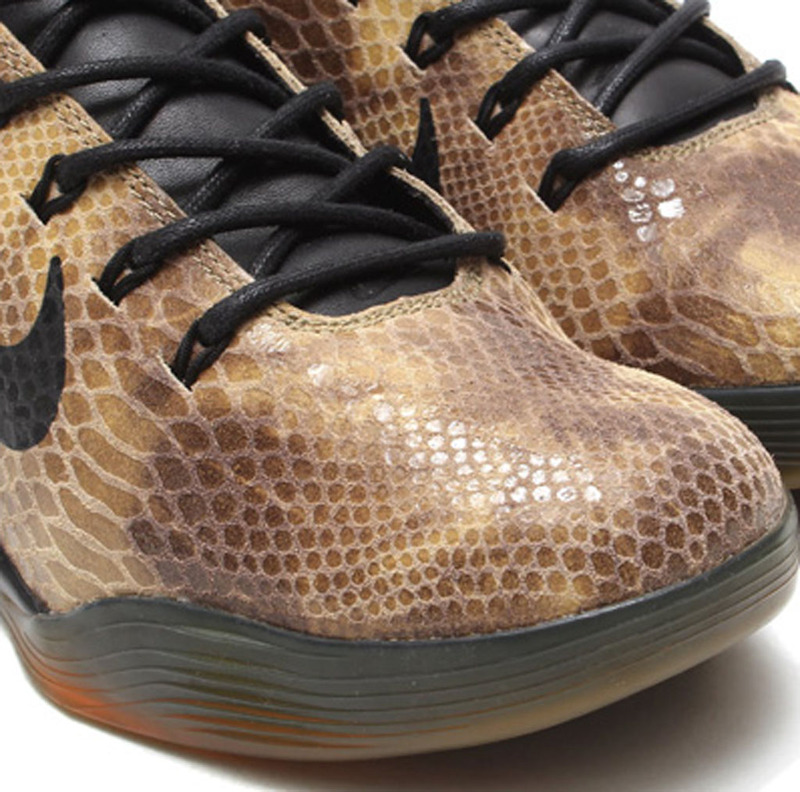 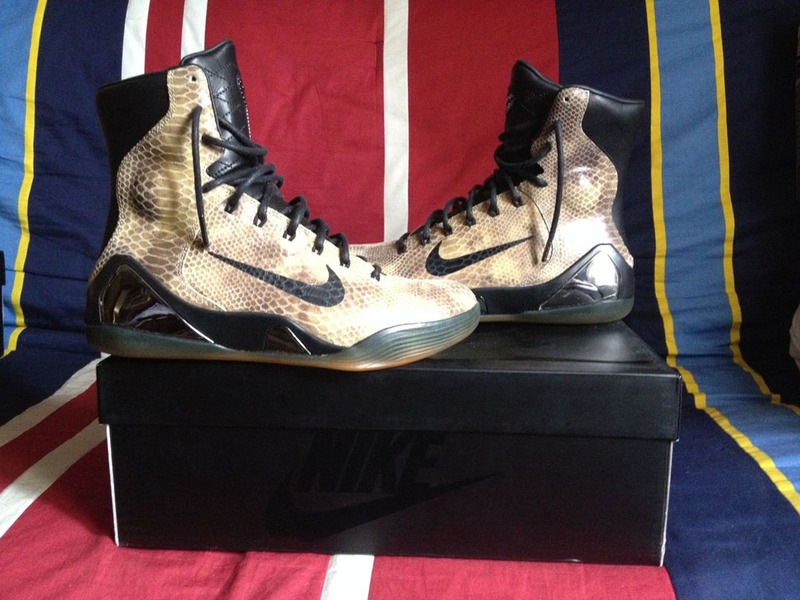 UPDATE 10/31: The 'Snake' Kobe 9 High EXT is set to release at select Nike Sportswear retailers as well as online at nike.com on Saturday, November 1 in limited quantities. 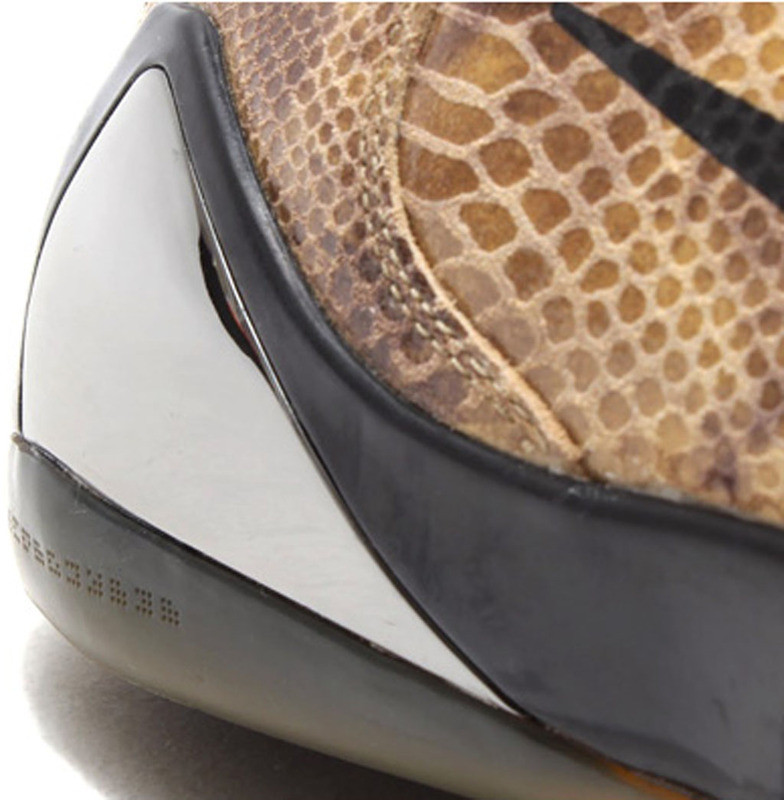 UPDATE 10/5: New images via @ypwan82.